We are constantly being asked what equipment you need in order to get started with voicetracking. Well, we’ve enlisted the help of the experts. Safe Pair of Hands are studio equipment specialists who have put together this list of the basics you need to get up and running. As with anything, the more you spend the better the results will be and we would always recommend investing in the best equipment you can afford. That said the following list of tech should achieve decent results on a tight budget to get you started. 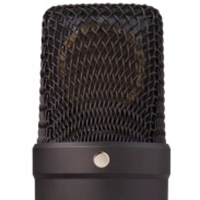 The Rode NT1-A is a fantastic large diaphragm condenser microphone with included shock mount, pop filter, and microphone cable. It’s a great all-rounder that won’t break the bank. You can listen to a sample of the NT1A below. A 2 in / 2 out USB 2.0 audio interface with two Mic/Instrument preamplifiers. It’s even powered directly over USB so you can take it with you! The sE Electronics Reflexion Filter Pro helps to reduce the amount of room ambience being picked up by your microphone while recording. 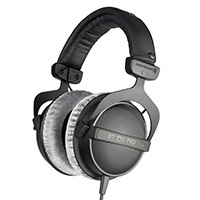 Beyerdynamic DT 770 PRO headphones have established themselves as a firm favourite amongst music producers, sound engineers and broadcasters in studios all over the world. They sound great, are closed so won’t feedback and are really comfy so you won’t have problems wearing them for hours! !